Citation: Quantum 2, 71 (2018).
. Several examples, including a Reed-Muller code for $T$-to-Toffoli distillation, punctured Reed-Muller codes for $T$-gate distillation, and some of the check based protocols, require a lower ratio of input gates to output gates than other known protocols at the given order of error correction for the given code size. In particular, we find a $512$ T-gate to $10$ Toffoli gate code with distance $8$ as well as triorthogonal codes with parameters $[[887,137,5]],[[912,112,6]],[[937,87,7]]$ with very low prefactors in front of the leading order error terms in those codes. S. Bravyi and J. Haah, ``Magic-state distillation with low overhead,'' Physical Review A 86, 052329 (2012), 1209.2426. J. Haah, M. B. Hastings, D. Poulin, and D. Wecker, ``Magic state distillation with low space overhead and optimal asymptotic input count,'' Quantum 1, 31 (2017), 1703.07847v1. E. Knill, ``Fault-tolerant postselected quantum computation: Schemes,'' (2004a), quant-ph/​0402171v1. 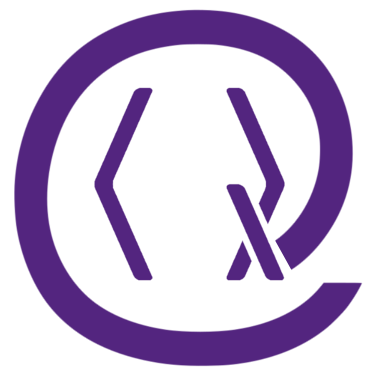 E. Knill, ``Fault-tolerant postselected quantum computation: Threshold analysis,'' (2004b), quant-ph/​0404104v1. S. Bravyi and A. Kitaev, ``Universal quantum computation with ideal Clifford gates and noisy ancillas,'' Phys. Rev. A 71, 022316 (2005), quant-ph/​0403025. D. Gottesman, ``A class of quantum error-correcting codes saturating the quantum hamming bound,'' Phys. Rev. A 54, 1862 (1996), quant-ph/​9604038. A. R. Calderbank, E. M. Rains, P. W. Shor, and N. J. A. Sloane, ``Quantum error correction and orthogonal geometry,'' Phys. Rev. Lett. 78, 405-408 (1997), quant-ph/​9605005. T. Karzig, C. Knapp, R. M. Lutchyn, P. Bonderson, M. B. Hastings, C. Nayak, J. Alicea, K. Flensberg, S. Plugge, Y. Oreg, et al., ``Scalable designs for quasiparticle-poisoning-protected topological quantum computation with majorana zero modes,'' Physical Review B 95, 235305 (2017), 1610.05289. A. M. Meier, B. Eastin, and E. Knill, ``Magic-state distillation with the four-qubit code,'' Quant. Inf. Comp. 13, 195 (2013), 1204.4221. C. Jones, ``Multilevel distillation of magic states for quantum computing,'' Phys. Rev. A 87, 042305 (2013a), 1210.3388v2. B. Eastin, ``Distilling one-qubit magic states into toffoli states,'' Physical Review A 87, 032321 (2013), 1212.4872. C. Jones, ``Low-overhead constructions for the fault-tolerant toffoli gate,'' Physical Review A 87, 022328 (2013b), 1212.5069. C. Jones, ``Composite toffoli gate with two-round error detection,'' Physical Review A 87, 052334 (2013c), 1303.6971. E. T. Campbell and M. Howard, ``Unifying gate-synthesis and magic state distillation,'' Phys. Rev. Lett. 118, 060501 (2017a), 1606.01906v2. E. T. Campbell and M. Howard, ``Unified framework for magic state distillation and multiqubit gate synthesis with reduced resource cost,'' Physical Review A 95, 022316 (2017b), 1606.01904v3. C. Jones, ``Distillation protocols for fourier states in quantum computing,'' Quantum Information & Computation 14, 560-576 (2014), 1303.3066. A. Paetznick and B. W. Reichardt, ``Universal fault-tolerant quantum computation with only transversal gates and error correction,'' Phys. Rev. Lett. 111, 090505 (2013), 1304.3709v2. A. G. Fowler, M. Mariantoni, J. M. Martinis, and A. N. Cleland, ``Surface codes: Towards practical large-scale quantum computation,'' Phys. Rev. A 86, 032324 (2012), 1208.0928. R. A. Moser and G. Tardos, ``A constructive proof of the general lovász local lemma,'' Journal of the ACM (JACM) 57, 11 (2010), 0903.0544. N. Alon and J. H. Spencer, The probabilistic method (John Wiley & Sons, 2004). N. Sloane and E. Berlekamp, ``Weight enumerator for second-order reed-muller codes,'' IEEE Transactions on Information Theory 16, 745-751 (1970). E. R. Berlekamp and N. J. A. Sloane, ``Restrictions on weight distribution of reed-muller codes,'' Information and Control 14, 442-456 (1969). G. Song and A. Klappenecker, ``Optimal realizations of simplified toffoli gates,'' Quantum Information & Computation 4, 361-372 (2004). E. Arikan, ``Channel polarization: A method for constructing capacity-achieving codes for symmetric binary-input memoryless channels,'' IEEE Transactions on Information Theory 55, 3051-3073 (2009), 0807.3917. J. M. Renes, F. Dupuis, and R. Renner, ``Efficient polar coding of quantum information,'' Physical Review Letters 109, 050504 (2012), 1109.3195. H. N. Ward, ``Weight polarization and divisibility,'' Discrete Mathematics 83, 315-326 (1990). S. Bravyi, B. Leemhuis, and B. M. Terhal, ``Majorana fermion codes,'' New J.Phys. 12, 083039 (2010), 1004.3791. M. B. Hastings, ``Small majorana fermion codes,'' Quantum Information & Computation 17, 1191-1205 (2017), 1703.00612. S. Vijay and L. Fu, ``Quantum error correction for complex and majorana fermion qubits,'' 1703.00459. M. Grassl and T. Beth, ``Quantum bch codes,'' in Proceedings X. International Symposium on Theoretical Electrical Engineering, Magdeburg (1999) pp. 207-212, quant-ph/​9910060. A. R. Calderbank and P. W. Shor, ``Good quantum error-correcting codes exist,'' Phys. Rev. A 54, 1098-1105 (1996), quant-ph/​9512032. Earl T. Campbell and Mark Howard, "Magic state parity-checker with pre-distilled components", arXiv:1709.02214 (2017). Anirudh Krishna and Jean-Pierre Tillich, "Magic state distillation with punctured polar codes", arXiv:1811.03112 (2018). Matthew B. Hastings and Jeongwan Haah, "Distillation with Sublogarithmic Overhead", Physical Review Letters 120 5, 050504 (2018). Ilkwon Sohn, Jeongho Bang, and Jun Heo, "Dynamic Concatenation of Quantum Error Correction in Integrated Quantum Computing Architecture", Scientific Reports 9 1, 3302 (2019). The above citations are from Crossref's cited-by service (last updated 2019-04-23 07:35:59) and SAO/NASA ADS (last updated 2019-04-23 07:36:00). The list may be incomplete as not all publishers provide suitable and complete citation data.